Derby (foot) finished the 2018 campaign with three catches for 48 yards and a touchdown in four games. The Dolphins placed Derby (foot) on injured reserve Tuesday, Cameron Wolfe of ESPN.com reports. Analysis: Derby appeared in only four games this season, as he dealt with foot and knee injuries throughout the year. The 27-year-old ends his season with three catches for 48 yards and a touchdown. Nick O'Leary and Mike Gesicki should see increased workloads to finish out the season. Derby (foot) is inactive for Sunday's Week 13 tilt against the Bills. 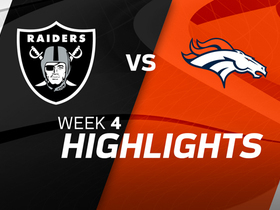 Analysis: Derby continues to be hampered by a foot issue that first cropped up during a Week 3 matchup against the Raiders. 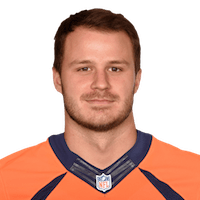 The fourth-year tight end's absence creates additional opportunity for Nick O'Leary and rookie Mike Gesicki in an offense that will also be missing receiver Danny Amendola (knee). Derby (foot) is listed as questionable for Sunday's game against the Bills, Armando Salguero of the Miami Herald reports. Analysis: Derby has been managing the foot issue nearly all season, suiting up just once (Week 10 against the Packers) over the Dolphins' past nine games. Though he practiced fully Friday, it hardly guarantees he'll be active Sunday, as he's logged numerous full practices over the past several weeks only to sit out once gameday arrives. Should Derby be ruled out again this weekend, Nick O'Leary and Mike Gesicki would likely split most of the snaps at tight end. Derby (knee) is inactive for Sunday's contest against the Colts. Analysis: Derby has missed a hefty chunk of the season with lower-body injuries this year, and now his knee will cost him Week 12. Nick O'Leary and Mike Gesicki will absorb the 27-year-old's snaps. Derby (foot/knee) is listed as questionable for Sunday's game at Indianapolis, Armando Salguero of the Miami Herald reports. Analysis: Derby was limited at practice throughout the week, leaving his status for Sunday up in the air. The 27-year-old missed six games with a foot issue prior to returning Week 10 against the Packers, but is now dealing with a knee issue as well after the bye week. Mike Gesicki would serve as the Dolphins' No. 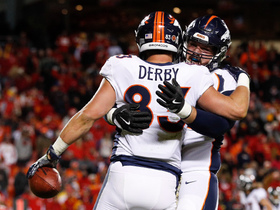 2 tight end should Derby be unable to play Sunday. The Dolphins listed Derby (foot/knee) as a limited participant on Thursday's estimated practice report, Armando Salguero of the Miami Herald reports. Analysis: It represents no change in Derby's level of practice participation from what he was able to do Wednesday. If Derby upgrades to full participation for the Dolphins' final practice of the week Friday, he should be a decent bet to suit up Sunday against the Colts. Prior to the Dolphins' Week 11 bye, Derby returned from a six-game absence to play 30 offensive snaps in the team's 31-12 loss to the Packers on Nov. 11. Derby (foot/knee) was a limited participant in Wednesday's practice, Armando Salguero of the Miami Herald reports. Analysis: Derby continues to manage a lingering foot issue which he's dealt with for the majority of the season. After missing six consecutive games, Derby returned to action in Week 10 against the Packers, playing 30 offensive snaps and finishing with one reception for 13 yards on two targets. With a Week 11 bye to further aid his recovery, Derby seems likely to suit up Sunday against the Colts and and share snaps at tight end with Nick O'Leary and Mike Gesicki. Derby caught one of two targets for 13 yards during Sunday's 31-12 loss to the Packers. Analysis: Derby returned to the field for the first time since Week 3, and led Miami's tight end group in both offensive snaps (30) and targets. It appears that Derby is the No. 1 tight end in the Dolphins' lackluster offense, but he's nonetheless unlikely to achieve fantasy relevance while sharing time with Nick O'Leary and Mike Gesicki. 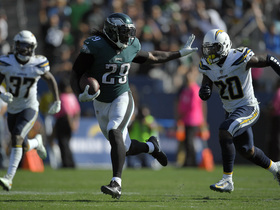 Derby (foot) is active for Sunday's game against the Packers, Adam H. Beasley of the Miami Herald reports. Analysis: Derby will dress for the first time since September after missing the Dolphins' last six games with the foot injury. The 27-year-old has been a full participant in practice for a while, but it wasn't until this week that Miami was comfortable with signing off on his return to game action. Though Derby opened the season as the Dolphins' starting tight end, he may only fill a limited role at the position behind Nick O'Leary and Mike Gesicki in Week 10 in light of his lengthy layoff. Derby (foot) is questionable for Sunday's game against the Packers. Analysis: Derby was able to fully participate in practice all week, but nonetheless does not appear to have fully recovered from a lingering foot injury that's kept him sidelined since Week 3. Even if the fourth-year pro is able to suit up, he's unlikely to achieve fantasy relevance while sharing snaps with fellow tight ends Nick O'Leary and Mike Gesicki in a low-powered Dolphins passing attack. Derby (foot) was a full participant in Wednesday's practice, Armando Salguero of the Miami Herald reports. Analysis: Derby hasn't seen the field since Week 3, despite having logged multiple full practices since that time. The veteran tight end continues to nurse a lingering foot injury, and evidently, his full practices haven't been enough to lessen the Dolphins' concern about his health. Even if Derby is cleared to play Sunday against the Packers, it seems likely that he'll be forced to settle for a limited role behind fellow tight ends Nick O'Leary and Mike Gesicki. Derby (foot) is listed as inactive for Sunday's game against the Jets. Analysis: Derby has not appeared in game action since Week 3, offering additional opportunities to Nick O'Leary and Mike Gesicki at tight end. Derby (foot) is listed as questionable for Sunday's game against the Jets, Alain Poupart of the Dolphins' official site reports. 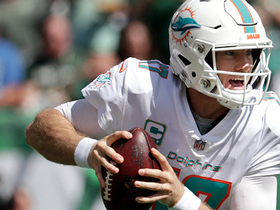 Analysis: Derby was a full participant in practice throughout the week, but the Dolphins evidently still have some level of concern about the foot injury that has sidelined him for five straight games. Given the lengthy layoff, Derby may not poach a significant amount of snaps from either Nick O'Leary and Mike Gesicki if he's ultimately active come Sunday. Miami Dolphins tight end A.J. Derby collects in the end zone for 19-yard touchdown. 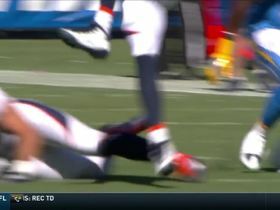 Denver Broncos QB Trevor Siemian locks in on tight end A.J. 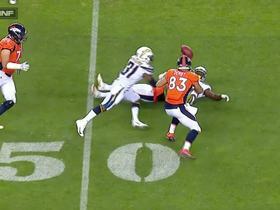 Derby for Denver Broncos TD. 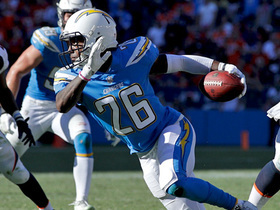 Los Angeles Chargers cornerback Casey Hayward picks off Denver Broncos quarterbackTrevor Siemian's pass intended for wide receiver Demaryius Thomas. 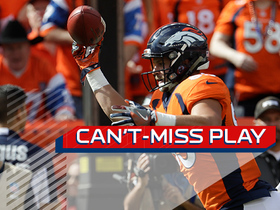 Check out the best plays from around the NFL on Sunday, Week 4. Denver Broncos tight end A.J. Derby makes one handed catches look easy with this 22-yard touchdown.